The Herman Ostrow School of Dentistry of USC’s Center for Craniofacial Molecular Biology is a unique facility that unites world-class researchers in a variety of disciplines centered around structures of the craniofacial region. Since its inception in 1991, CCMB has been home to several major discoveries and has attracted top researchers from around the world. Congratulations to CCMB Associate Professor Amy Merrill, who was recently named the first-ever recipient of the Marylou Buyse Distinguished Mid-Career Scientist Award, presented by the Society for Craniofacial Genetics & Developmental Biology and kindly sponsored by Developmental Dynamics. Merrill’s research focuses on studying the causes of rare congenital skeletal conditions to identify new therapeutic targets for skeletal disease and resolve unanswered questions in skeletal biology. Fight on! 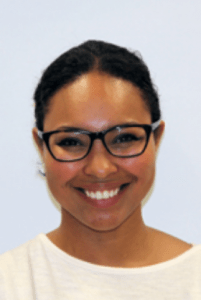 Please join us in congratulating CCMB postdoc Diana Rigueur, who was elected to a three-year term on the American Association of Anatomists (AAA) Board of Directors. The 2,100 members of the AAA voted in February to elect five new Directors, who will be officially installed at the AAA Annual Meeting in Orlando in April. At the same time, members of the scientific society voted to change the organization’s name to the American Association for Anatomy in order to better reflect the differing professions of its membership. Rigueur will be one of only two student/postdoc board members.